Some new official signs have popped up on campus, and I think they're pretty funny. 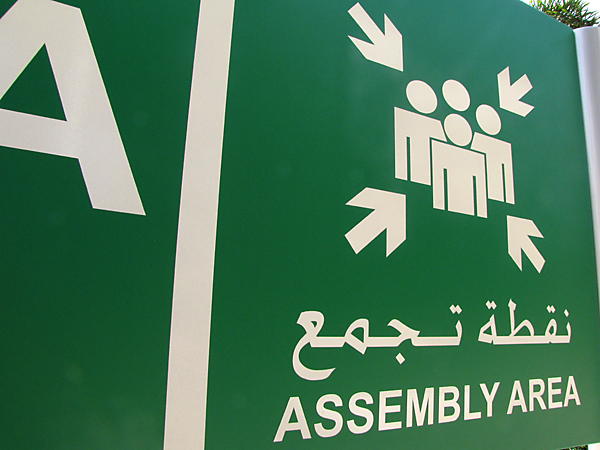 I'm not sure why we need signs designating Assembly areas and I've never had anyone say what an Assembly area is for, but now they're well marked with these snazzy new signs. I'm more worried about the fourth person who lost either his body while assembling, or the second one who gained an extra head. 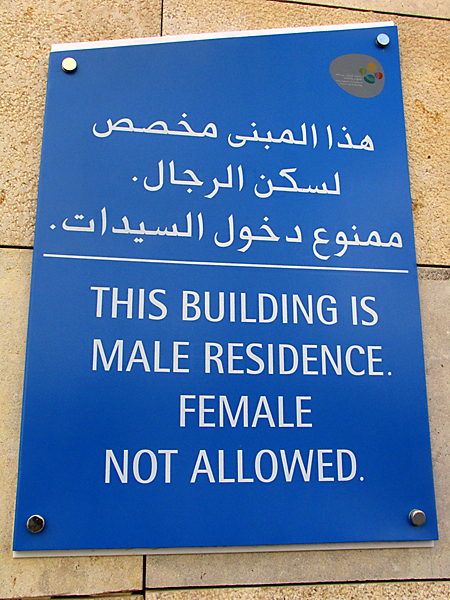 These signs and their opposites showed up on the apartment buildings that house single students. I don't know who is in charge of ordering or making signs on campus, but I'm pretty sure they need that privilege revoked. I definitely feel like there is an "a" and maybe an "are" missing here, but who knows maybe the school's official language was switched to pidgin. Every time I see these signs, I get a bit of a laugh, so here's to hoping there are more in the future!